If you want to build your own gaming PC, there is no question that the first thing you need to do is research. Go online and watch the latest reviews of motherboards, GPUs, RAM memories and other miscellaneous parts you need to build the best gaming computer. Many gamers question what to choose between i5 vs i7 for gaming capabilities. 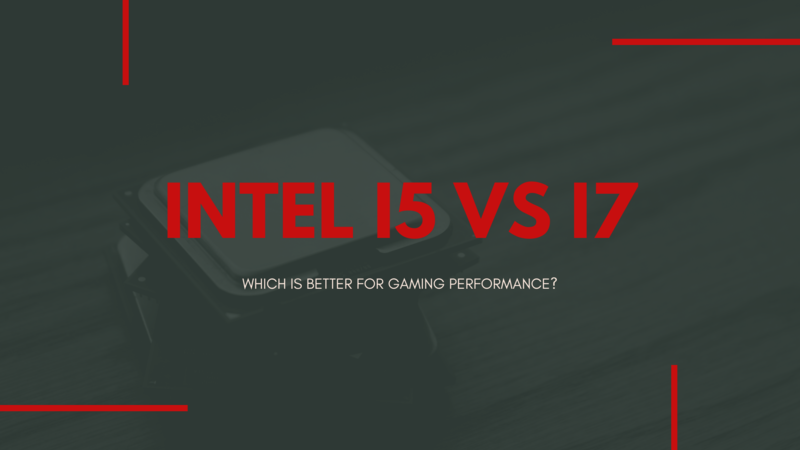 So in a one-to-one battle between Intel i5 vs i7 for gaming performance, who will be victorious? Both are capable of delivering impressive results. But only one of these is most suited for you if you only wish to play the latest games. Let’s look at the pros and cons of each processor and choose just one. Although you should not be so quick as to dismiss earlier CPU generations offered by Intel, you should keep in mind one important factor. 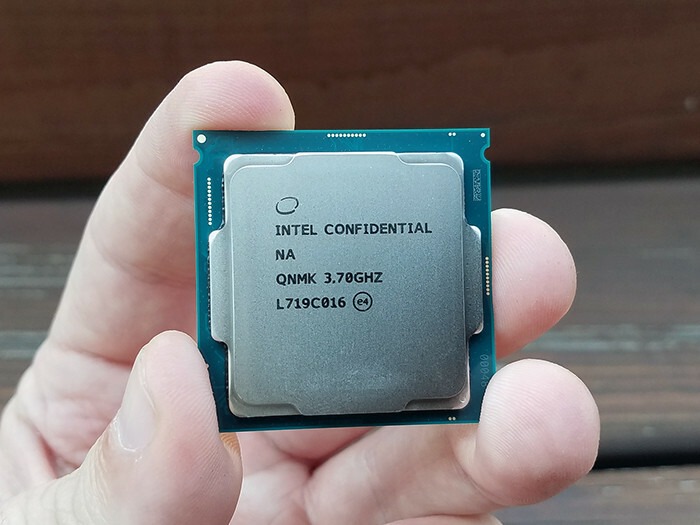 As opposed to older Intel Core i5 and i7, the Skylake generation comes forth with improved CPU features capable of tremendous computing power. You may also think that purchasing a Haswell chip will save you some money while delivering almost the same results as the new generation. Well, you’re not entirely wrong. However, go the extra mile and do whatever you can to get your hands on one of the 6th generation’s CPUs. Saving a few dollars now won’t help you much in the long run, if at all. To understand a little better the main differences between older generation chips and the improved i5 and i7, let’s have a look at hyper-threading. Hyper-threading refers to the process of handling more than just one task by each individual core. Instead of queuing processes up for execution one-by-one, the threads are able to manage multiple tasks simultaneously. As a result, the CPU speeds everything up and you will finish whatever you are working on much faster. The more threads, the better. This is because Windows will recognize them as physical cores and allows software to use them as such. However, they don’t come near the power an extra physical core provides, but are still useful when working with demanding software. With all of that being said, let’s see what Intel’s Core i5 has to offer when it comes to hyper-threading. Unfortunately, you will not be able to benefit from this feature on an Intel Core i5 desktop chip. However, hyper-threading is available for i5 mobile dual-core processors. When it comes to the stronger counterpart, all Intel Core i7 processors benefit from hyper-threading. This means they can handle twice as many hyper-threads as they have cores. Although it sounds pretty awesome, hyper-threading is highly dependent on software. This means that only some applications that are especially designed to take advantage of hyper-threading will improve the overall computing power. The answer to i5 vs i7 for gaming purposes from the hyper-threading perspective is simple: go with either one. And here’s why. If you work a lot with video and photo editors but also use your device for gaming, then the i7 is definitely the best fit for you. However, if you’re only interested in running games, then you can stick to the i5. Each processor works at different speeds. The faster they process information, the better. This is more commonly known as clock speed. Although it is safe to assume that higher processing speeds build up to a better overall performance, this has become less relevant over the last decade. This is because different CPUs can handle a series of operations at a different rate, even though they benefit from the same clock speed. However, when it comes to Intel i5 vs i7, they both operate based on the same architecture. In this case, whichever benefits from a higher clock speed is the winner. Or is it? Intel Core i5 uses a frequency of 3.2 GHz, while the i7 can go as high as 4.0 GHz. However, this doesn’t automatically make the i7 superior to the i5. And here’s why. The secret lies in the number of physical cores. It is possible that sometimes quad-cores have lower clock speeds than dual-core processors. This is more common for mobile chips that use up less space. Hence, even though they benefit from a higher clock speed, a desktop dual core will most certainly win every time you run applications that don’t require many cores. As a result, if you’re looking to build yourself an awesome gaming PC while staying in the budget, the i5 is best for you. Benefiting from cache memory means that you can store the most used processes in a small virtual memory other than the RAM. You can say it’s almost like a short term memory where you store only the essentials. As a result, the RAM memory, where more important processes are stored will not be overcrowded. If this happens, the overall performance of the computer can suffer greatly. Hence, the bigger the cache memory is, you will be able to store multiple simple processes that will improve the overall performance of your PC. As opposed to the Intel i5, the i7 benefits from a bigger cache memory. And the difference between the two of them is only 2MB. Normally, you wouldn’t think that this may be enough to settle the score between Intel i5 vs i7. However, this extra 2MB of cache memory makes all the difference in the world and one of the most notable contrasts between them. Although it is only 2MB larger than the i5’s cache memory, this feature is designed to speed up the repetitive processes, lower power use and the RAM memory demands altogether. So in this i5 vs i7 for gaming battle, we’d have to go with Intel i7. If you truly want a great gaming experience, go for a PC. Not because laptops are in any way inferior, but because there are two main things that clearly set these two apart: space and size. It is true that the laptop is perfect to take with you anywhere you go and all that. However, when you put a lot of stress on the CPU it should come as no surprise that it will start to heat up. Not only the chip but the graphics card as well. When this happens, there is not much you can do but to take it a little bit easier with the gaming. The bigger the computing power of the processor, the greater the heat. Hence, the i7 burns at higher temperatures when running demanding software and also uses more battery power. All of this for quite an insignificant improvement in the overall gaming experience. Again, if you are going to use your computer for video editing, the i7 is by far the best buy. However, if you’re looking just to experience the best games on the market, there is no need to go higher than an i5. Also, since we’re talking about gaming, go out of your way and make yourself a gaming PC. This cannot be stressed enough. Even though a laptop that features a Core i5 CPU is great for supporting the latest appearances, think about how much more a PC can deliver. For example, an overclocked desktop i7 runs at no higher than 60 degrees with proper cooling. This is certainly going to have a say in the overall gaming experience. 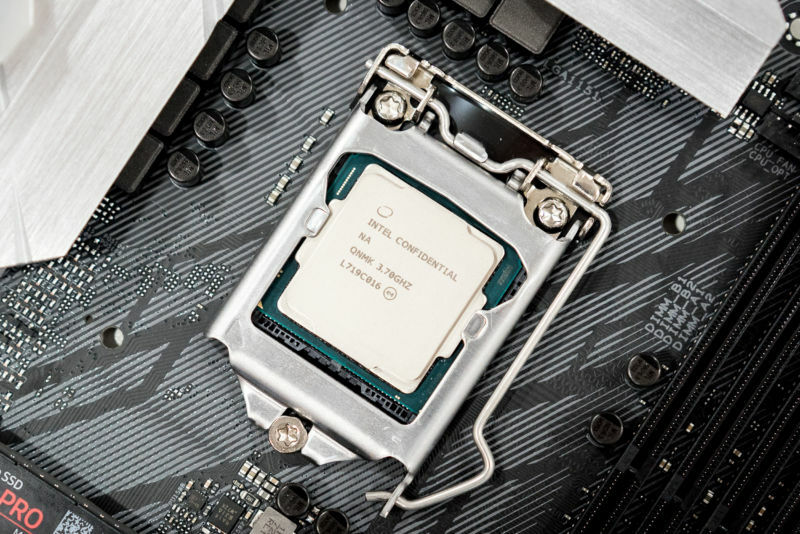 Together with the extra space and bigger parts, your computer will benefit from an improved airflow which will keep everything cool and enhance the lifespan of the CPU. 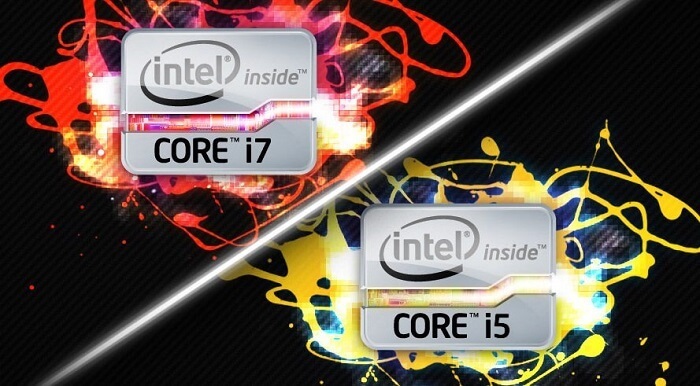 As expected, the Intel Core i7 is significantly more expensive than the i5 version. You can purchase the latter for prices starting below $200. However, the Intel Core i7 comes off as quite an expensive choice, starting at about $280. Needless to say, that when you will want to install this CPU, you are going to need a compatible motherboard, as well. So, expect to pay at least $400 for both the CPU and the motherboard. Furthermore, in order to make the best out of this demanding processor, you will have to top your overall expenses with $30 worth of 8 GB of RAM memory and a $200 graphics card. All in all, both the Intel Core i5 as well as i7 make for great upgrades to your system. However, many users will find that the extra features and overall processing power of the i7 are too much for them. Consequently, they will not be prepared to spend a great deal of money on differences they won’t even be able to notice. Hence, it seems that the Intel i5 vs i7 for gaming comparison finally comes to an end. If you’re looking to build yourself a great gaming PC, you will not regret it if you go for the Intel i5. It provides almost the same features that the i7 delivers if not even better in some particular cases. Also, it is a lot cheaper and most importantly runs at cooler temperatures when you use it intensively. You can leave the Intel Core i7 in the hands of professionals that can use it to improve the quality of their video encoding projects. Nonetheless, if you run demanding video and photo editing software on a daily basis, the i7 is indeed your safest bet.